Hey Angela Bassett, is a hot dog a sandwich? Angela Bassett is a force of nature. Through a career that spans more than 30 years, she’s been reliably electric. She’s waited to exhale. She’s gotten her groove back. She’s been gorgeous, imposing, droll, deadly serious, warm, cold, and Tina Turner. She’s absolutely someone you can imagine nimbly dealing with several government agencies worth of pissy secret agents without breaking a sweat or backing down, even a little. That’s precisely what she does in Mission: Impossible—Fallout, a teeny tiny action movie you might have heard is out. 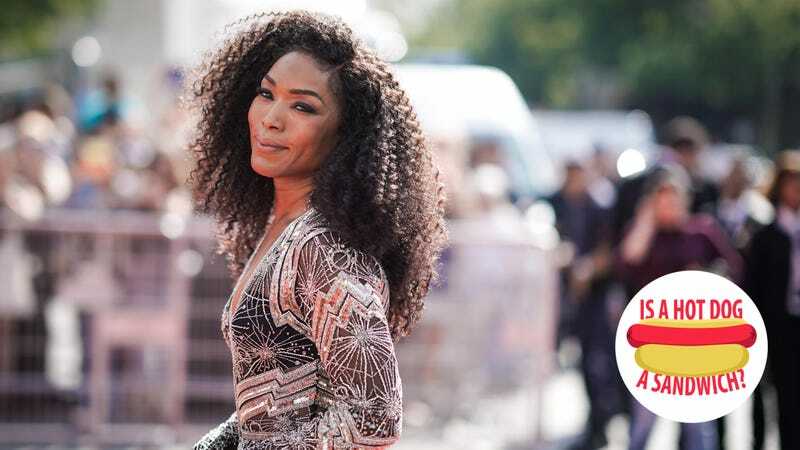 But this is Angela Bassett we’re talking about, so it’s not as though she’s short on projects—she’s also one of the cornerstones (and executive producers) of 9-1-1, Ryan Murphy’s FOX series in which she stars. 9-1-1 returns September 24, so this woman is very busy, and yet she somehow found the time to weigh in on this most contentious of issues. AB: Because there’s the bread! TO: So if there’s bread, there’s a sandwich? AB: I mean, I would say so. It’s a small one, an elongated one, but it’s a sandwich nonetheless.